It is a time to bring the ladies in your life together for a celebration of your upcoming nuptials. All your bridesmaids should plan this event together and split the costs. It doesn't have to be expensive, just relaxing and fun. 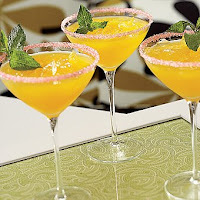 If your planning a brunch for your favorite bride think of having a fun make your own champagne bar with orange juice, mango juice and pomegranate juice. This will get the guests mingling before the gift opening begins. The weather is so great, serve lunch in your back yard. One of my favorite sites Hostess with the Mostess has some great ideas. Maybe you want a Stock the Bar party. Offer different cocktails like sangria, chocolate martinis and vodka cranberry on the rocks. Use different glasses for every drink. Hopefully the lucky bride will get highball glasses, margarita glasses and other bar accessories. Desserts Only. 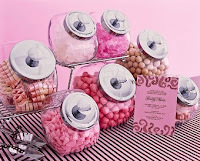 Offer cupcakes or a candy bar. Have a table over flowing with brownies, cookies and sweets. Coed Showers are also very popular - this is a way to cater to both the bride and groom and not just the bride. This is a way to get items for the house (because they may not need towels and dishes). Think tools, garden accessories or entertaining items. 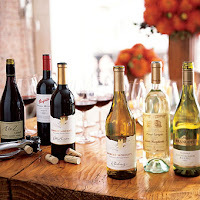 How about throw a wine tasting, hire a sommelier and help to stock the wine cellar.